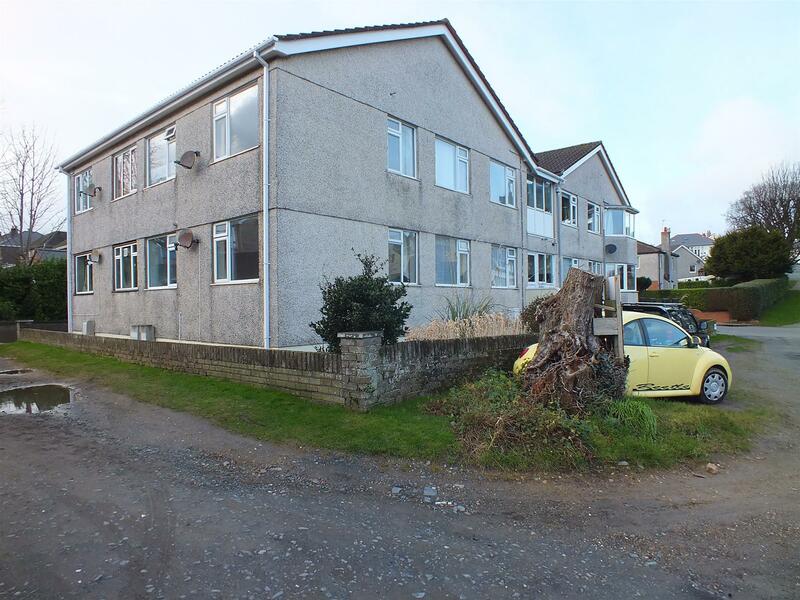 Purpose Built Apartment in a Pleasant Location. A Short Walk from Queens Promenade & Town Centre. Offered in Excellent Decorative Order with Neutral Colours. Spacious Lounge / Diner & Galley Style Breakfast Kitchen. 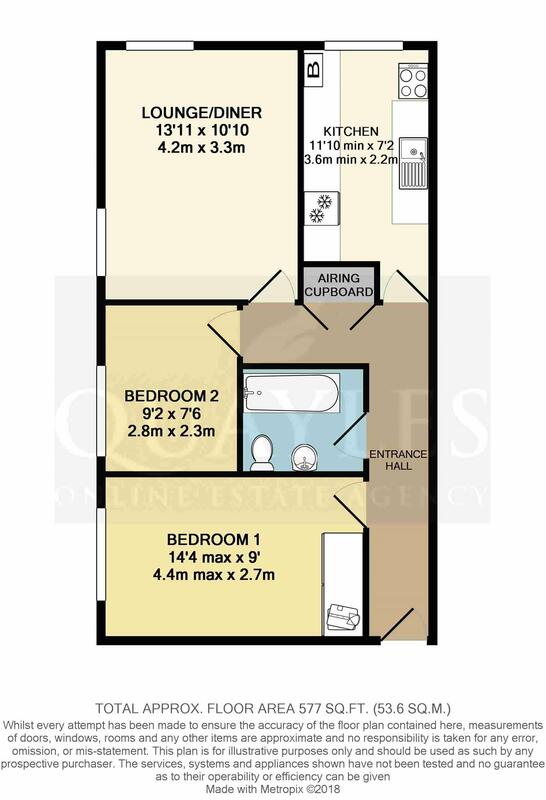 2 Bedrooms (1 with a Large Built In Wardrobe). Modern Bathroom with a Shower Over the Bath. Secure Underground Parking & Separate Storage Bay. From Parliament Square travel out of the town centre along the A18 (Waterloo Road) then take a right turn into Queens Drive West. Continue over the Tram Lines and continue ahead where Ballure Court will be found on the left hand side with plenty of roadside parking nearby. Steps lead up to the communal entrance with a part glazed uPVC door and matching side panels. Stairs lead up to the first floor apartments. PIR lighting. Smoke detector. A part glazed uPVC door and matching side lights leads down concrete steps to the residents garage, communal store room and bins. Oak effect laminate floor covering extends through the bedrooms and lounge. Shelved linen / store cupboard. Coat hooks. Cupboard housing the consumer unit. Double power point. Smoke detector. A generous double room with a uPVC window. Measurements given include a built in double wardrobe with a high level shelf and hanging rail together with sliding mirrored doors. Five power points. Fully tiled in white with a mosaic relief pattern to complement the white suite of pedestal basin with a lever mixer tap, push button flush WC and a panelled bath with a mixer shower attachment and 'Mira Zest' electric shower in addition to grab handles and a shower curtain. Space for a small unit or laundry basket. Mirror fronted wall cabinet. Double shaver point and 'Addvent' extractor. A large single / small double room with a uPVC window. Four power points. A generously proportioned, duel aspect room with two uPVC windows. Five power points. TV and telephone points. Display niche with a shelf and fitted mirror (former doorway to the kitchen). A spacious galley style kitchen fitted with a good range of wall and drawer line base units together with contrasting work surfaces incorporating a lower level breakfast bar and a stainless steel sink with a mixer tap. Free standing cooker and fridge freezer. Space for a washing machine. Tiled to mid height with easy care vinyl floor covering. 'Saunier Duval' gas fired combi boiler. Five power points. Large uPVC window. Walled garden with concrete pathways around the building and borders planted with shrubs and bushes. Communal courtyard giving access to the garage. Bin storage area. Having an electronically operated up and over door. Number 5 benefits from one generous space within the garage (approximately 17'3 x 10'4). Light, power and cold water point. A communal space which is locked for security, the entrance area contains the electricity meters for all the apartments. Number 5 benefits from an open space measuring approximately 8' x 7'. Leasehold - There is an active Management Company in place comprising of the owners of Ballure Court Apartments and owning the Freehold. Annual fees approximately £800 per annum – payable in January of each year. Floor coverings, curtains, blinds and light fittings.